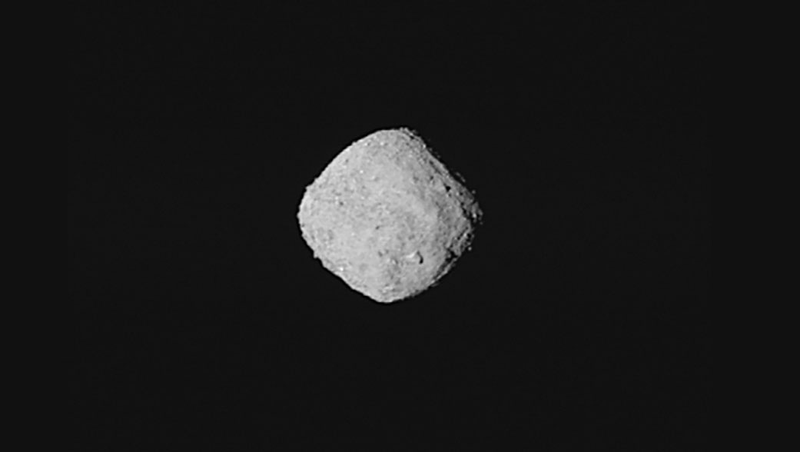 Image of Bennu from OSIRIS-REx. OSIRIS-REx launched on September 8, 2016 from Cape Canaveral. It carries five data-taking instruments, and scientists hope to learn more about the Solar System’s origins and even what resources an asteroid might hold. Today’s milestone marks the end of a two-year journey to Bennu, and the start of a 1.5-year study period. Today, scientists burned the engines to place OSIRIS-REx in its next mission phasein which it will execute flybys as it prepares to orbit Bennu, reports the New York Times. 7 kilometers from the asteroid at closest approach. The spacecraft has undertaken maneuvers since the summer to change its velocity and prepare it for this approach and arrival. Scientists look forward to having some real bits of asteroid back here on Earth to analyze. “I’m particularly excited about the moment when the sample will be retrieved,” Neyda Abreu, associate professor of geoscience and mathematics at Penn State DuBois, told Gizmodo. “We have only scratched the surface when it comes to understanding asteroids.” Abreu hopes that Bennu will reveal a variety of different materials and terrains, while also offering a safe place to land. Correction: This article previously stated OSIRIS-REx arrived in its orbit around Bennu. This was not accurate, and instead the mission has merely switched into the next phase of flybys as it prepares its orbit. The author has corrected this in the text and regrets the error.